Replacing LaMarcus Aldridge won't be easy, but Portland has a plan. There's no “replacing” a four-time All-Star who leaves in free agency in the middle of his prime. That's just not possible. But an exceptionally steep uphill climb won't stop the Portland Trail Blazers from trying. They know LaMarcus Aldridge is special, but they still need to fill his void, some way or another. Meyers Leonard can shoot. Ed Davis can block shots and rebound. 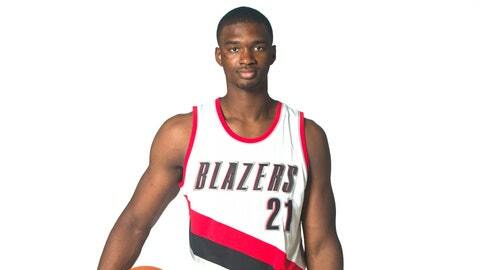 Noah Vonleh can…well, nobody really knows just yet. Chris Kaman is a skilled veteran. Mason Plumlee can roll to the rim and catch lob after lob after lob. Those are the positive qualities each member of Portland's frontcourt will bring to the table this season. But they have flaws, too. Big ones. And it's up to Terry Stotts and the rest of the Trail Blazers' coaching staff to hide them as best they can. As the Blazers move on from the Aldridge era, they won't ask one player to replace his All-Star production, but instead will rely on a collection of big men who offer a wide range of skills and versatility. Between the shooting of Meyers Leonard, the athleticism and intelligence of Mason Plumlee, the activity and attitude of Ed Davis, the playmaking potential of Noah Vonleh and the leadership of Chris Kaman, the Blazers think they have enough interchangeable pieces to hold their own in the frontcourt.